Shadow chancellor Ed Balls can recover from his faltering performance in Parliament yesterday, but the content of his argument could be more of a problem, public affairs experts have said. Chancellor George Osborne was yesterday able to claim improving economic growth figures showed the Government’s economic plan was working after three years in which Balls often had him on the ropes. Balls' red-faced response, which was drowned out by heckling MPs, focused on the argument that the recovery was not being felt by ordinary people. Labour-inclined Interel Group director Lee Whitehill maintained the negative reaction to his performance largely came from right-wing bloggers but admitted it would strengthen the arm of those making the case for a change of shadow chancellor. He added: "The paradox for George Osborne is that the economy is growing less than it was under Labour in 2010 but he’s managed to spin shaky figures into an increasingly compelling story that paints Labour as the bogeyman. 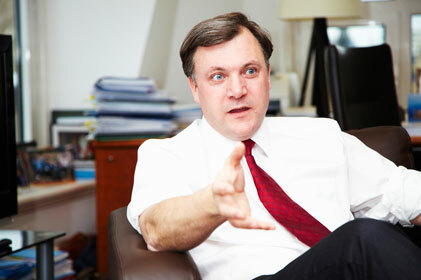 Unfortunately for Labour Ed Balls is that bogeyman." Tory-leaning Cavendish Place Communications managing director Alex Challoner said: "The most he could have hoped for out of yesterday would have been to pull the agenda back towards Labour’s current successful mantra on the ‘cost of living’. However, the aggressive but scattered performance, that started badly and didn’t improve, was way off the mark." Challoner added the chances of Balls being chopped were slim, but "lukewarm Tory" and MHP Communications chief executive Gavin Devine argued that while one bad performance would not make a difference, there may be other reasons to move him. "Osborne had a lot of good news to deliver and Balls could only use the now standard line that that’s all well and good but the benefits aren’t being felt by the general public," he said. "That line is getting a bit tired. It’s about competence versus incompetence – that’s what will land. At the moment the Conservatives are looking competent." This argument would not last as people continued to hear good news about the economy over the next 18 months, and Labour had to do some long-term thinking, he added. Westbourne Communications partner and Liberal Democrat party member Ben Abbotts agreed. "I think this is a major issue for Labour with only 18 months before the general election," he said. "We’re a far cry from Gordon Brown’s dominance as shadow chancellor. The only dominance now is that of George Osborne."